The Conservative MP, who is also campaigning for Westminster to outlaw electric shock dog collars, said he was broadening his campaign around animal welfare after a meeting with the Kennel Club charity. Public demand for action has been growing following a raid in Aberdeenshire where 90 puppies were seized at East Mains of Ardlogie farm, which is believed to have been Scotland’s largest puppy farm. Mr Thomson has backed Lucy’s Law, named in honour of a cavalier spaniel rescued from cruel puppy farmers, which aims to stop third party sales of puppies and kittens without their mother being present. UK Rural Affairs Minister Michael Gove has launched a public consultation this week after campaigning by the SNP’s Lisa Cameron, who is the owner of a rescued French bulldog and chair of the All-Party Parliamentary Dog Advisory Welfare Group. Mr Thomson wants to see Holyrood take up the cause too and has written to Scottish Environment Secretary Roseanna Cunningham calling on her to take action to prevent third parties, including pet shops, from selling on animals who have been raised by unscrupulous dealers. “After meeting with the Kennel Club to discuss my campaign to ban the sale, use and distribution of electric shock dog collars, I have been made aware of the Lucy’s Law campaign,” he said. “Puppies and kittens are being separated from their mothers and kept in awful conditions, often being transported for long distances before being sold. “These are heart-breaking stories and I want to do what I can to help eradicate this practice. 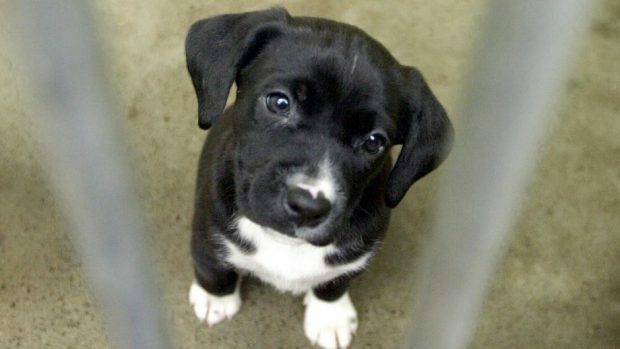 A Scottish Government spokesman said a consultation is about to be launched on strengthening laws around breeding and selling puppies, kittens and rabbits, which already ban dealing in puppies and kittens under eight weeks old. He said: “The Scottish Government takes animal welfare extremely seriously and we are determined to crack down on all instances of animal cruelty.